Media / News Who wrote what they're saying I wrote? Let me speak briefly about a new website that offers a service I consider fairly amazing. Send SoundGecko the URL of a news story you don't have time to read, and in seconds it'll send you back a link to an audio version of that story you can download on your computer or iPad or whatever and listen to at your leisure. I've tried it. Now you try it. It works. The reading voice—there's only one at this point, and it's male—gets a little monotonous but is very listenable. It makes mistakes, but it doesn't butcher the copy. "We launched in mid-July so we've only been around for a little over a month, but we've already had more than 16,000 people try the service," I'm told by Long Zheng, a founder of the Australia-based service. "The feedback we've received has also been overwhelmingly positive and we're actively working to add new features that users have suggested. "We currently only use the one male voice for all our articles but we're looking into adding support for additional English voices. We're also hoping to add support for world languages in the future." Zheng added, "We're aware of some issues with article content extraction . . ."
Put that another way. Zheng is aware there are glitches. I got a heads-up about SoundGecko the other day from a friend, Gary Houston, who'd just heard about the site and tried it out by ordering an audio version of a column of mine that ran in the Reader last February. "Saul Alinsky, poster child" told the story of attempts to tar Barack Obama, who once upon a time was a community organizer in Chicago, by linking him to Saul Alinsky, the master organizer reconfigured by conservatives 40 years after his death as an evil genius of collectivist intrigue. The prime evidence was the poster of a drama, The Love Song of Saul Alinsky, that had been produced in Chicago in 1998, with panel discussions following the Sunday performances. (Houston played Alinsky.) One of the panelists, mentioned on the poster, was Barack Obama, then a state senator. My column began: "To terrorize an audience, stimulate its imagination to work overtime . . . Conservative auteurs base their claim that Barack Obama is an unconstitutional alien in the Oval Office not on a birth certificate that says he was born in a foreign country but on the lack of one meeting their high standard for authenticity that says he wasn't." SoundGecko promptly worked its magic (the methods are too proprietary for Zheng to discuss them in any detail), and sent Houston this link. "Saul Alinsky, poster child," by Michael Miner. It's not just who he associated with in the past that formed his ideology but what he is doing in the present and in the future. I commend David Barton for putting this information together in such an order that we Americans can see exactly where our prez has gone against everything this nation stands for. And he also added reference websites to confirm and reveal where his statements originated. Please be very careful when you vote in November. Our lives, the lives of our children and grandchildren should retain the freedoms that initiated from our founding forefathers along with our Constitution and the Declaration of Independence. I'm not saying a Republican candidate is our best choice. But it's certainly better than where we are currently heading. God bless America. "'Americas' most biblically hostile U.S. president." When one observes President Obama's unwillingness to accommodate America's four-century-long religious conscience protection through his attempts to require Catholics to go against their own doctrines and beliefs, one is tempted to say that he is anti-Catholic. But that characterization would not be correct. Although he has recently singled out Catholics, he has equally targeted traditional Protestant beliefs over the past four years. So since he has attacked Catholics and Protestants, one is tempted to say that he is anti-Christian. But that, too, would be inaccurate. He has been equally disrespectful in his appalling treatment of religious Jews in general and Israel in particular. So perhaps the most accurate description of his antipathy toward Catholics, Protestants, religious Jews, and the Jewish nation would be to characterize him as anti-Biblical. And then when his hostility toward Biblical people of faith is contrasted with his preferential treatment of Muslims and Muslim nations, it further strengthens the accuracy of the anti-Biblical descriptor. In fact, there have been numerous clearly documented times when his pro-Islam positions have been the cause of his anti-Biblical actions. This pseudoscholarly parsing of Obama's supposed biblical trampling went on for 31 minutes. What the hell was it? Houston didn't know so he gave me a heads-up and I didn't know either. It was nothing I'd written, nothing I'd thought, and I wondered if SoundGecko was a front for some sort of far-right hate mill. But neither Houston nor I thought so: we submitted other articles to SoundGecko and they came recited (by the same voice) exactly as they'd been written. 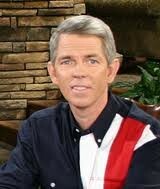 David Barton was easily googled—he's a self-styled historian who holds that the Constitution was not merely inspired by the Bible but liberally quotes it. And the screed Houston and I had just heard had been written by Barton and posted on his website, Wallbuilders. But how did it find its way into my computer, under my byline? I still don't know exactly. Zheng acknowledged problems but didn't explain them. But I can sort of see how it might have happened. I discovered that Barton's screed had been posted online after my column as a response to it by a "Rosanne Morrison." Apparently, when SoundGecko opened my column's URL, instead of recording the column itself it recorded Morrison's response—which consisted of her introduction and then Barton's endless assault on Obama. Accepting that this somehow happened doesn't clear up every mystery. It doesn't explain why what SoundGecko recorded is not exactly what Morrison posted. For instance, in the audio from SoundGecko Barton rambles on, keeping count, until he's listed 62 of Obama's supposed biblical outrages. And there may be more—the SoundGecko voice explains that for technical reasons the recording now has to stop. But on the Reader website, Morrison listed only 52 examples of antibiblicism. And on Wallbuilders, Barton listed 55. So I'm confused. And if I were litigious, I guess I'd be consulting a lawyer. Aside from that, SoundGecko is pretty cool.